The Stamina 1205 Precision Rower is a portable and compact unit that uses hydraulic cylinders to provide resistance. The battery-operated multi-function monitor shows single readings or scans for speed, distance, time, row count, calories burned, and miles rowed. Folded Storage Dimensions – 49.5" x 11.8" x 9.5"
Check out the popular Stamina 1205 Rower On Sale Now! The Stamina 1205 Precision Rower has steel frame construction with an aluminum center beam for the sliding seat. It has adjustable tension controls, a ball bearing roller system, a padded seat, foam grips, and pivoting footpads with Velcro straps. The resistance of the shocks is changed by sliding the tension adjusters on the handlebars. The lowest position provides the lowest resistance, and sliding the adjuster catch up the shaft provides higher resistance. The warranty for parts and electronics is 90 days. Reviews on this rowing machine are decent but most of them are written before the reviewers have spent a few weeks with their machines. There are many cheap parts in these models (the roller wheels for the seats are molded plastic and will be one of the first parts to fail), the little screen is hard to read when it works, and eventually the hydraulic shocks will fail and need to be replaced. The Stamina 1205 Precision Rower is not much of an upgrade over the entry-level 1050 model, so for $200 at Amazon, it is not worth the money. (We saw it recently at Walmart for $218. Yikes.) 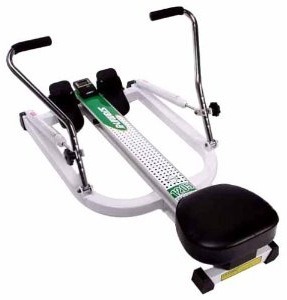 Instead of buying a cheap hydraulic rower, we suggest you go with a Weider Total Body Trainer. It is a $230 glideboard trainer that uses a cable pulley system (no hydraulics to fail!) and an incline board, using your own bodyweight to row, pull, push, and glide. More exercises, less expensive, better built, and has hundreds of positive reviews all over the internet. 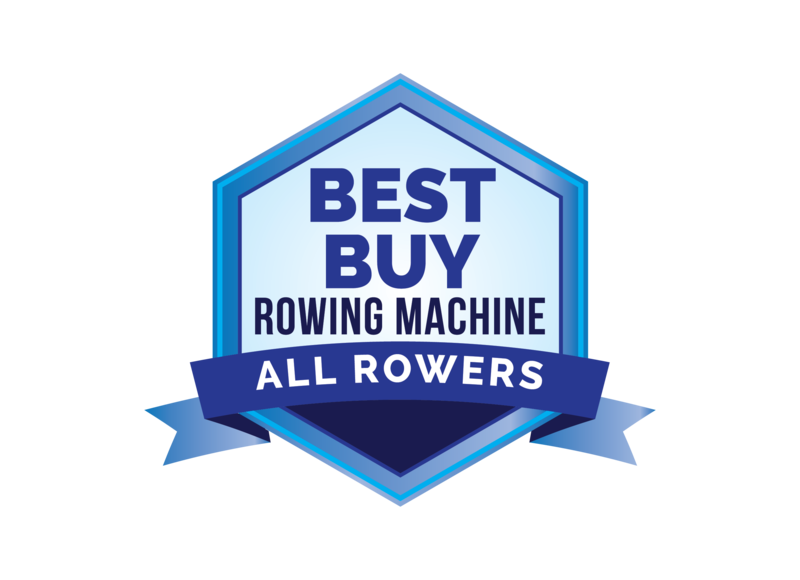 If you have your heart set on a rowing machine, then plan to spend about $300 and go with a Stamina Air Rower that actually simulates the motion and feel of rowing on water.